Clements Europe announced today an exclusive Personal Property Cover program for the Volunteer Service Organization (VSO), the world’s leading independent international development organisation fighting poverty in developing countries. Clements Europe is a wholly-owned subsidiary of Clements International, which has provided similar cover to the United States Peace Corps for over 10 years. Clements provides affordable and reliable cover for volunteers’ items during transfer to overseas posts and throughout their journey. 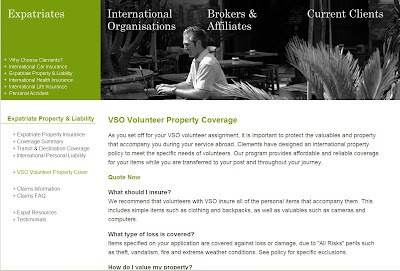 VSO volunteers can get a free quote, to learn more visit the VSO Personal Property cover section of the website.